ODESSA, Ukraine – An Allen & Heath dLive S class system has been selected to power Ukrainian comedian and pop singer Berka Serduchka on his European tour. 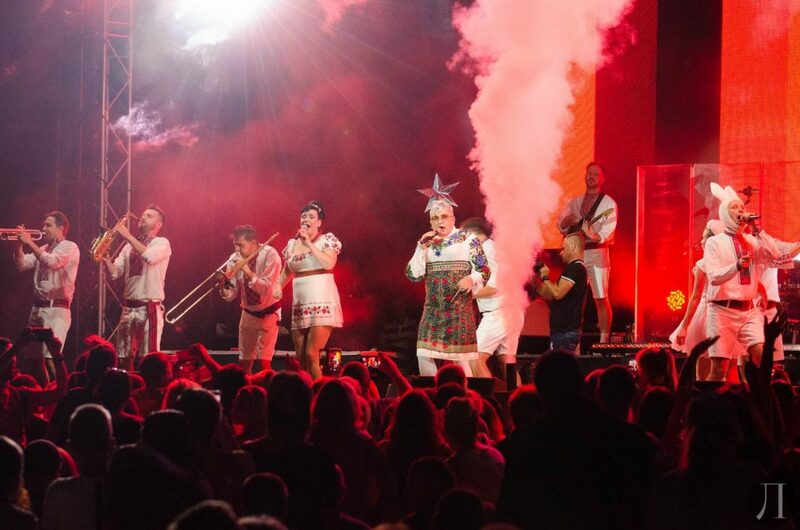 Ukrainian comedian and pop singer, Andriy Danylko – or better known as his drag persona, Verka Serduchka – has taken Europe by storm this Summer, while supported by an Allen & Heath dLive S class system. Supplied by rental company NEKO Rent, the band’s set up includes a CDM32 MixRack, with an S7000 surface at front of house, and a touchscreen PC running Director software for monitor duties. In addition, the system includes a DX168 Expander for remote I/O and a superMADI card for multichannel playback / recording and external processing. The recent tour included the grand opening for “Marine Station”, a new Summer theatre in Odessa (Ukraine), as well as multiple dates across Europe and the Middle East. “I love dLive for its pure sound and the powerful DEEP processing features. I frequently use Dyn8, the Peak Limiter 76, The Mighty and 16VU as they are extremely good emulations of the classic gear and I love that I have the opportunity to use them on each channel or bus,” comments FOH engineer Andrew Zistan.